If this does not help on your site, please have a look at other options available from this external tutorial. The general mime type issue is planned to be solved with WordPress 5.1 (see related tickets #45707 and #40175 for details). Can tracks from fitness trackers be displayed on maps? If your fitness trackers (like garmin fit) allows exporting recorded tracks as GPX format, those files can usually be also displayed on maps with Maps Marker Pro. Can I add multiple GPX tracks to a map? 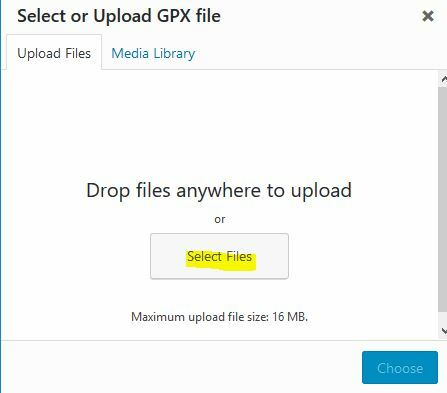 You can only add one GPX file to a map – if you want to show multiple GPX tracks on one map, you have to merge those files first – you can use the online tool at http://joewein.net/bike/gpxmerge/ for this purpose. Can I manually draw a GPX track on a map? Manual creation of GPX tracks on maps will probably be added with a later release. In the meantime you can use services like http://www.gpsvisualizer.com/draw/ which allow manual drawing of tracks and exporting the result as GPX file – which you can display on your maps with Maps Marker Pro. Can I display routes (GPX) on maps? Yes, this feature is available since Maps Marker Pro v1.2. 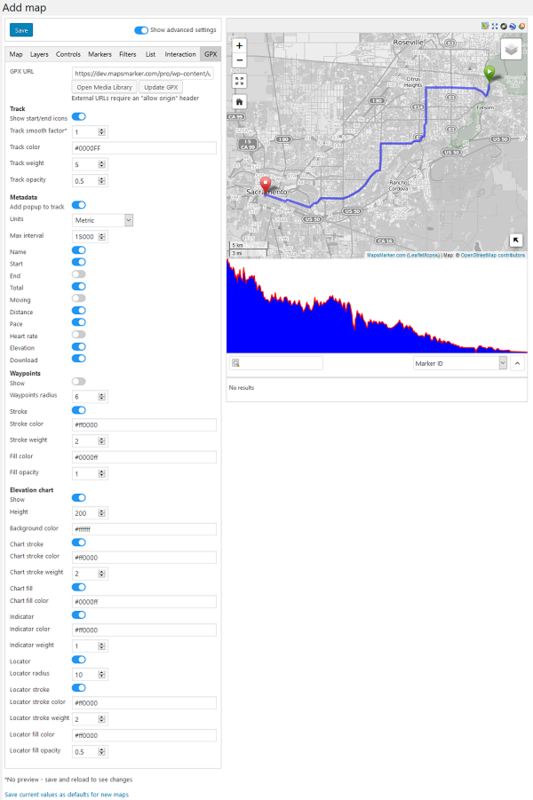 Since v4.0 GPX elevation charts, waypoints and multiple tracks within one file are also supported.